Our astrological chart describes our strengths and challenges and our unique life’s purpose. Astrology is a tool for understanding the self and can help us make empowered, healthy choices so we can experience more fulfillment. An astrology reading can help bring clarity and insight about relationships, career and life path issues, interests and passions, and financial opportunities and concerns. It can help us find the best time to make changes, including moves and career changes. I describe a person’s astrological chart as a picture of the sky at the place, date and time they were born. 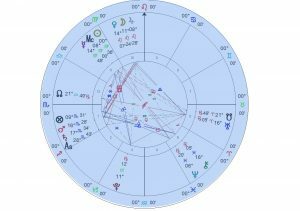 Planets and mathematically calculated points are placed throughout the chart and I interpret the meaning of these placements using a combination of ancient and modern astrological techniques. A person’s birth date, place and time of birth are needed to calculate their astrological chart. In a reading, I combine my intuitive and medium gifts with the astrology reading. The messages and visions I receive provide additional information and depth to a reading.